Founded in 1977, by Vinton and Kurt Crosby when the two acquired their first towing vessel, the Paddy Crosby. In 1994, the company acquired a number of inland towing vessels from M and W Marine Incorporated of Belle Chasse, Louisiana. In October of 1998, when Crosby Marine acquired additional inland push boats, and two pressure barges. Along with a number mid sized tugs Harvey Gulf International Marine Incorporated of New Orleans, Louisiana. In August of 2006, Crosby Marine Transportation acquired offshore domestic towing vessels from Tidewater Marine Services Incorporated of New Orleans, Louisiana. In February of 2010, the company acquired additional tugs from Harvey Gulf International Marine Incorporated of New Orleans, Louisiana, and the Dolphin Towing Company of New Orleans, Louisiana. 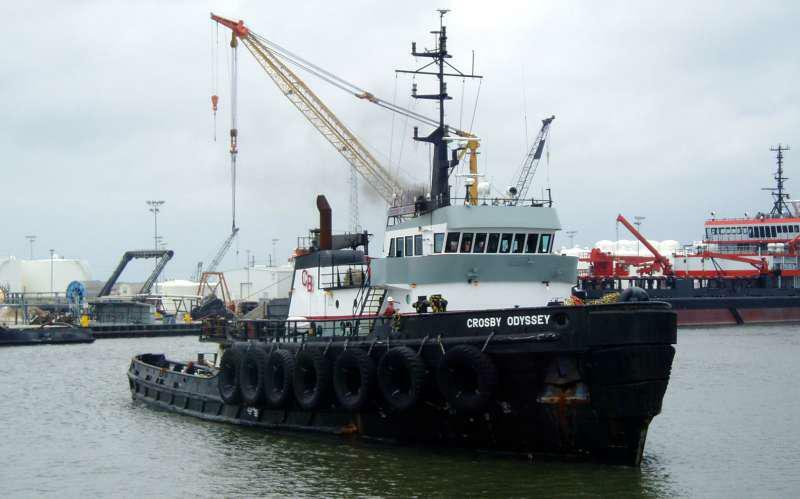 In September of 2010, Crosby acquired tugs from Double Eagle Marine Incorporated of New Iberia, Louisiana.